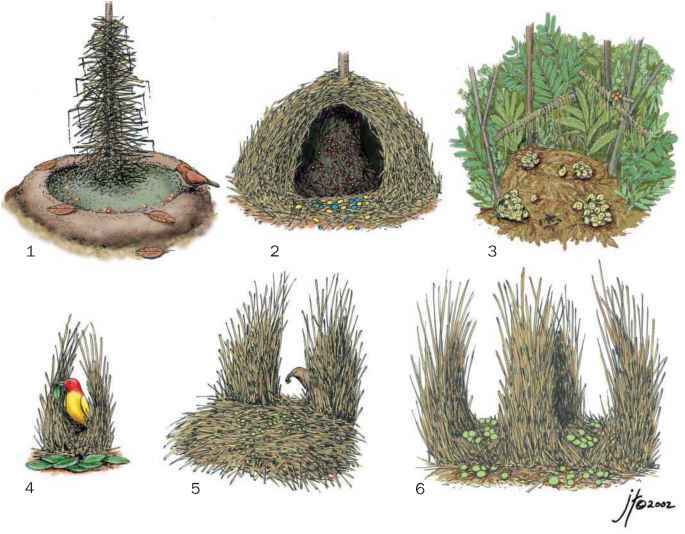 Many weavers are associated with water, since they breed in wetlands, along rivers, dams, and lakes, nesting in reeds or other waterside vegetation. However, in these cases they often move to grassland or savanna during the non-breeding season. Several species may breed in wetlands, but also in trees far from open water, and have adapted well to man-modified habitats such as farmland. Only members of the sparrow-weavers and buffalo weavers are permanent residents of arid and semi-arid areas. Some species are exclusively forest birds, either in lowland or montane evergreen forest, and may spend much of their time in the canopy 100 ft (30 m) above the ground. All members of the genus Malimbus are strictly forest inhabitants.